Today I want to chat about Hogwart Houses and how sometimes expectations vs reality can lead to a minor identity crisis - for some people. *ahem* Brace yourselves though, because I have a lot of ground to cover! I've mentioned previously how before Pottermore came out, I always thought I'd be sorted into Ravenclaw. I adore reading (obviously) and was always at the top of my class in school. Online quizzes had almost always sorted me in Ravenclaw (though I did get Gryffindor and Hufflepuff often enough) But then, the very first time I took the Pottermore sorting quiz, I got...Hufflepuff. Even though I love the Puffs, I was honestly stunned back then that I didn't get Ravenclaw...so much so that I took the quiz again. And again. And again. Finally, I ended up with Slytherin once, Hufflepuff twice and Gryffindor three times for the win. OCD much? Yeah. 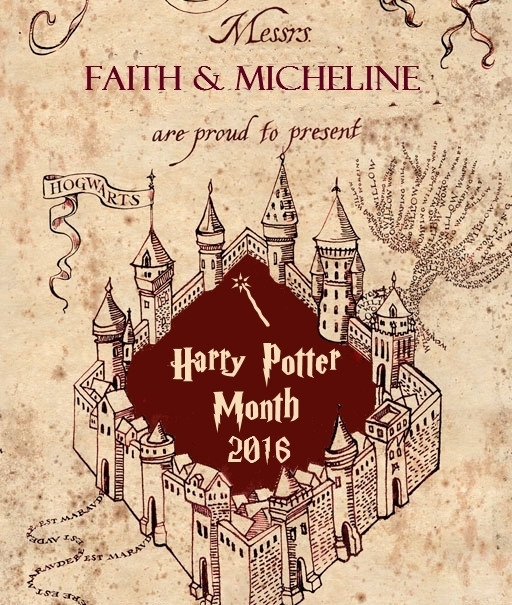 And then, we started doing Harry Potter Month back when Pottermore still had virtual Hogwarts, I went to login to play but I had forgotten my login info... so I had to retake the quiz. Surprise, surprise I got... Gryffindor. Finally, when they relaunched the Sorting Hat Quiz recently after the PotterMore redesign, I figured: what have I got to lose? I took the quiz again. GRYFFINDOR! So it looks like I really am a Gryffindor. I'm not complaining, hello I'm IN HARRY's House! My all-time favorite hero. Not to mention Hermione, The Weasleys, Dumbledore, McGonagall, Sirius, Lupin...Still, I never thought I'd be a Gryffindor and the fact that I got Hufflepuff and Slytherin before Gryffindor (and never once got Ravenclaw) led to something of an existential crisis. I mean, before Pottermore, I never questioned that I belonged in Ravenclaw. I've been extremely bookish since I was 5 years old and I was always at the top of my class in school. The bottom line is, I never once got sorted into Ravenclaw and my OCD tendencies led to different sortings, so I felt like I could never be sure where my home at Hogwarts really was. Sure, I got Gryffindor the most, but I also got Hufflepuff quite a bit...and even Slytherin. Recently, I found out that JKR had spoken out on Hybrid Houses and it got me thinking how I'm clearly a Hybrid! Those who know me in real life wouldn't be surprised by THAT in the least. So I found a bunch of online quizzes to that effect and took them all. Gryfferin, Gryffinclaw, Gryffinpuff, Hufflerin, Huffleclaw, Huffledor, Ravendor, Ravenpuff, Raverin, Slytherclaw, Slytherdor, Slytherpuff. In my case, I'd obviously be a GryffinPuff right? Since Pottermore sorted me the most in Gryffindor with Hufflepuff coming in second. 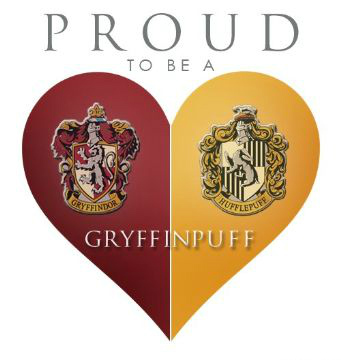 Well, after taking (and let's face it retaking) the quizzes, I was sorted into GryffinPuff and Gryffinclaw equally. The tie-breaker is that one time I got HuffleClaw...which might not seem like I tie-breaker but since Hufflepuff came up first, I counted it as such. Here are the links to Quiz 1, Quiz 2, Quiz 3 for you all because I'd LOVE for you all to take them and share your Hybrid Houses with me. What House were YOU sorted in? Was it the House you were expecting? What is your Hybrid House? Oooh, this is such an interesting topic- I hadn't heard of Hybrid Houses before! So I took all 3 quizzes (they were all a lot of fun) and got 3 different results: Slytherclaw, Gryffinclaw, and Huffleclaw. It definitely seems that I belong in Ravenclaw, LOL! LOL! Yup, there's no denying you're a Ravenclaw LOL! 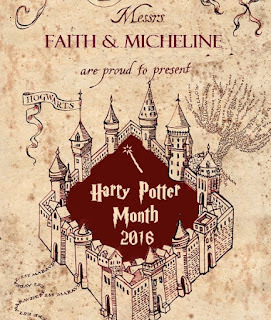 This was new to me too until I started writing this post but it helped me feel more confident in my Hogwarts Identity LOL! I got Gryffinclaw 3 times. I definitely think that's my house. I always wished hybrid houses were a thing. I usually end up in Gryffindor, though Pottermore kept putting me in Ravenclaw. Thanks for sharing those hybrid house quizzes. I've never taken one of those before! It's a great way to spend my spare time in a week where I"m constantly counting down the seconds to midnight of July 31. 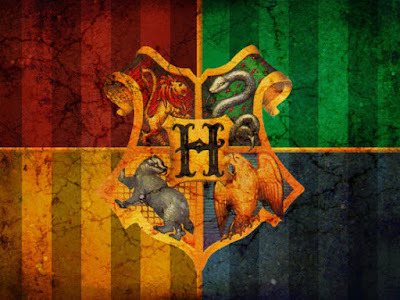 LOL I got Ravenpuff, Gryffinclaw and Gryffinpuff. So a combination of Ravenclaw, Hufflepuff, and Gryffindor. I really don't think I'm a Gryffindor though since I honestly don't feel like a very brave person. I got Hufflepuff the first time I did the Pottermore quiz and was shocked to not be a Ravenclaw. I realized that one of my major qualities was loyalty though and embraced the puff. This time though I was sorted into Ravenclaw. I definitely feel like I have a home in both. I love that you are a combination of what I feel Hermione is. She's such an amazing character. I'm glad it's not just me then thinking I'd be Ravenclaw and then getting every.single.option EXCEPT that one! You have a nicer balance though compared to me LOL! Awesome^^ so it worked out perfectly :D I say you're a Huffleclaw that could easily fit in as a Ravenpuff ;) YAY! Well these quizzes are clearly terrible, as the one that came up consistently is Ravenclaw, and only one of the three supported my Slytherin soul. I take no crisis from this though because as Harry proved, you can totally choose your house... right?!?!?!?! It is a widely held belief that if someone wants to invest in real estate market, he must be loaded with cash. The idea is not entirely true. If you don't have enough money you can still invest in Aboutme The notion seems unbelievable at first glance but it's true. Real estate investing with no money to put down is a viable option.